The old year is almost done, a new one is about to begin. 2015 leaves behind many royal memories - here, in black and white, are some of the standout moments of the past twelve months. 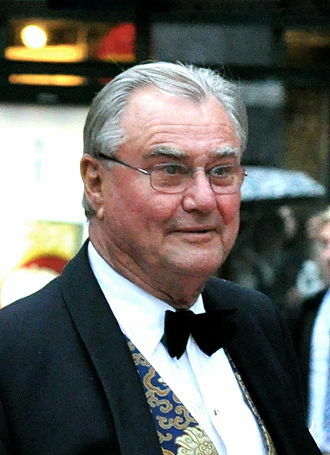 The Prince Consort of Denmark, Henrik, is to radically reduce his royal engagements. The decision, taken by the prince, was announced by Queen Margrethe in her New Year's speech. Henrik is now 81 and earlier this year he had to miss his wife's 75th birthday celebrations because of illness. The queen said in her speech that her husband had decided to 'slow down' and used the word 'retire'. The change will take effect almost immediately although it isn't yet known if that means the prince will miss the annual New Year's celebrations set for tomorrow. August is traditionally a quiet month on the royal front with summer holidays taking over. But there are still some fabulous fashion moments to enjoy as the royal wardrobe hits the height of the season. Here are 5 looks worth remembering from August 2015. Royal dressing in the height of summer can be a tricky one. The balance between staying cool and staying regal can be hard. But this July produced some vintage royal looks, beginning with another regal wedding dress. And the bride wore Valentino - for her civil marriage to Pierre Casiraghi in Monaco on July 25th, Beatrice Borromeo chose a pale pink and gold dress by Valentino. Another beautiful royal bride for 2015. The prize for looking totally cool in warm weather went to Queen Letizia of Spain who wowed in white on a visit to Expo 2015 in Milan on July 23rd. June brought the big royal wedding of the year and as Europe's reigning houses got out their best frocks and diamonds, it seems churlish not to make this fashion flashback all about the dresses worn to the marriage of 2015. Glitzy, glamourous and glittering, it was a sparkling occasion all round and led, of course, by a beautiful bride. 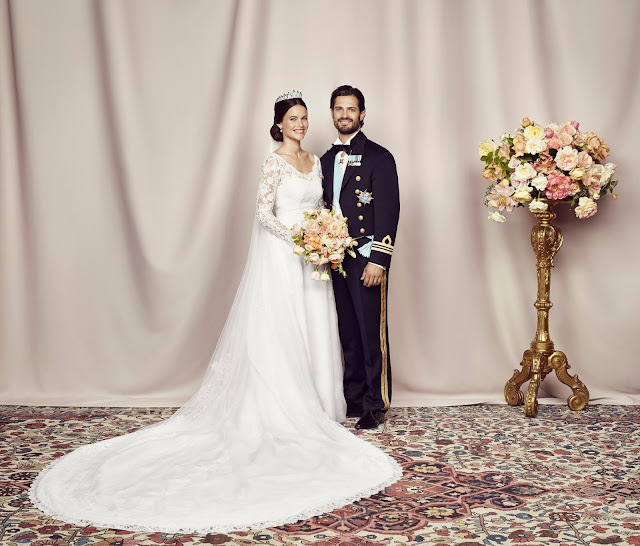 The wedding dress worn by Sofia Hellqvist was fit for a princess. The white gown with lace overlay, designed by Ida Sjostedt, featured a cascading train and lace trimmed veil kept in place with a brand new diamond and emerald tiara. Add in mounds of peachy pastel flowers and a groom who couldn't have been more besotted if he'd tried and you have the perfect royal wedding look. Sofia's wedding guests didn't disappoint on the fashion front either. The prize for total princess dress went to Mary of Denmark who chose palest purple and looked about as pretty as could be. Princess Perfection. There was only one dress that really mattered in May 2015. 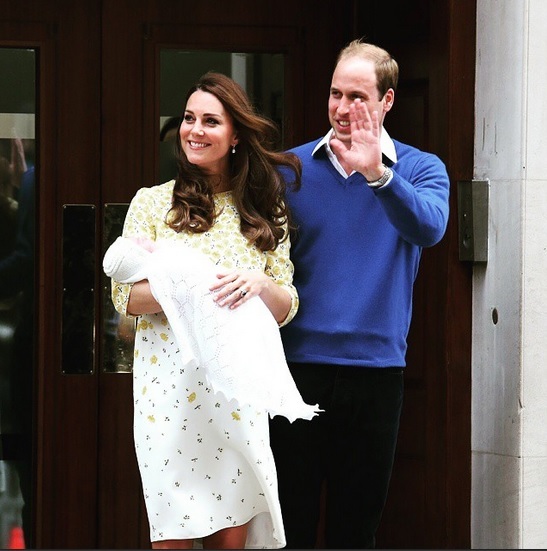 When Kate of Cambridge stepped out of the Lindo Wing looking stunning just hours after giving birth to her second child, the yellow print dress by Jenny Packham that she had chosen for this seemingly impossible feat of public appearances became just about as famous as a frock can be. There were some other great looks but they have to take a back set in the round up of five fab fashion moments from May. When she left hospital with George in July 2013, Kate chose a blue dress for her baby boy. She had said before the birth of Charlotte that she didn't know her baby's gender and that seemed to be the case as Kate carried her little girl home in a yellow dress with not a touch of pink anywhere to be seen. What we did see was a woman looking totally fabulous having delivered a baby less than ten hours earlier. Mother and daughter were healthy and this mummy really did look yummy. The Easter break didn't put the royal women of Europe off their game when it came to style. April proved a vintage month for dresses, coats and hats not to mention hair. Here are 5 of the best looks. It was her birthday and she'll look fab is she wants to. 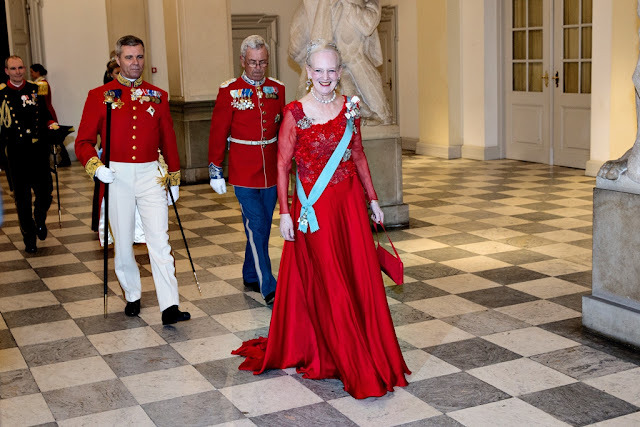 Queen Margrethe II of Denmark showed the world how to turn 75 in style when she stunned in a red dress and her very best diamonds at the gala dinner for her big day. One of the royal looks of 2015 was Queen Letizia's new bob which made its debut at a Madrid awards ceremony in April. The dress it was first worn is pretty stunning too even if it does emphasise the queen's slim physique. Put the hair and the sparkles together and you get a winner. March was an embarrassment of riches when it came to royal style. It was State Visit season which meant diamonds aplenty while the weather started to warm up which meant coats off and a bit more variety in the royal wardrobe. It was hard to pick five standout looks but here goes with five times the royals stunned us with their style in March. When you bring your best blue evening gown and spectacular sapphires to the game, no one else stands a chance. 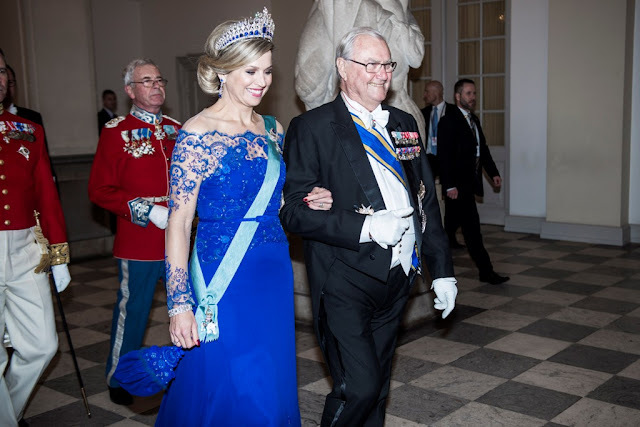 Queen Maxima is truly regal in royal blue at the Gala Banquet held in honour of the Dutch State Visit to Denmark in March. Who cares that she got off the plane in what looked like a bamquet when the evening style is this good? February traditionally sees the royal year really get going with an increase in engagements and public appearances. Oh, and a little bit of ski-ing as well. There were plenty of fashion statements in February this year and here are five of my favourites. 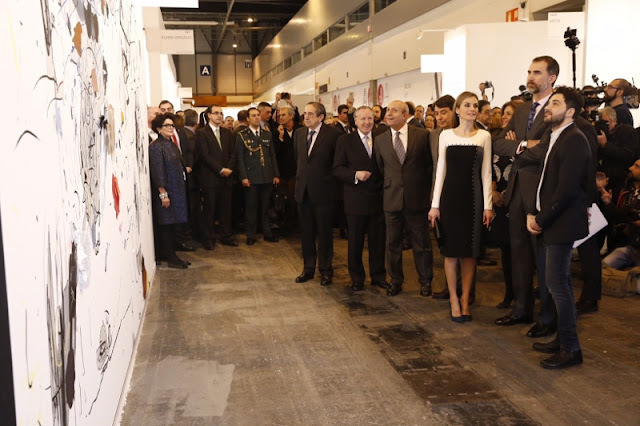 Queen Letizia scored a total hit with her geometric three colour dress on a visit to ARCO 2015. The best bit of this outfit for me is the shoes which match the minor colour on the dress to perfection. And, let's face it, Letizia has her fair share of shoes issues so to see her score a hit on this one is a bit of a win. The Duchess of Cambridge looked downright stunning in a white coat with matching skinny belt and black accessories on a visit to Portsmouth in February. Quite possible the queen of Kate's looks for the year. Perfection. Crown Princess Mary finished off February in a leather jacket with textured skirt and looked about as good as a royal looks. There is a clear vibe for the Duchess of Cambridge this Christmas. After a muted sage green coat (albeit topped off with a Christmas cracker of a hat) on the big day itself, Kate has toned it down even more with a tweed two piece for Sunday service at Sandringham. The Duke and Duchess of Cambridge joined other members of the Royal Family for the Sunday service, walking to St Mary Magdalene as they had done on Christmas Day. Only the Queen took the car. The end of the year is always a time to look back and remember what has been and as far as 2015 is concerned, there's been some great royal fashion to recall. There's also been a few duds along the way but let's start with the good stuff. Here are my top 5 outfits for each month, starting with January. It's totally my opinions, just the looks that caught my eye, made me look twice, the ones I wanted to wear myself. If I could. Which I can't. So instead, let's take a look. When you're a Crown Princess heading off to your country's main fashion week you need something casual but classy, sleek and chic, on trend but not so out there everyone laughs at you. Step forward Mary of Denmark who rocked Copenhagen fashion week in a dress that anyone would want to wear. It's the most festive colour combination and the women of the House of Windsor made sure it starred at their royal Christmas this year. 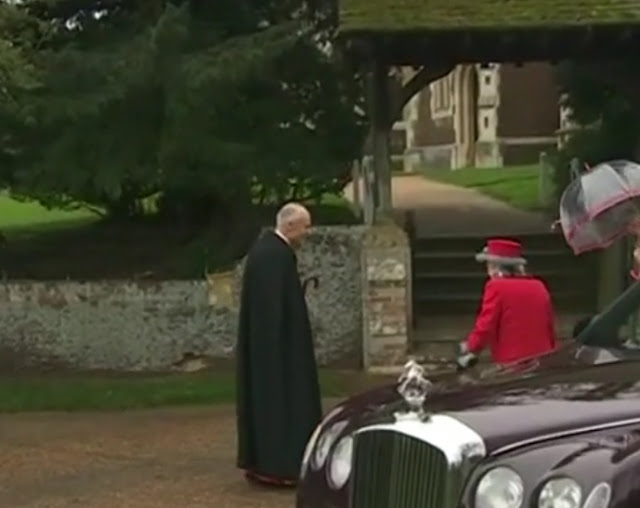 Wellwishers at St Mary Magdalene Church at Sandringham were treated to a royal vision of red and green as they gathered to see the Queen and her family attending Christmas Day service. The Queen led the way in bright red with both hat and coat adding a festive feel to proceedings. She is known to prefer clear umbrellas so that people can catch a glimpse of her and the one selected for her trip to church on Christmas Day had a matching red trim to keep things seasonal. The Duchess of Cambridge provided the green, choosing a dark sage coloured coat and a deep green velvet hat on top of a very sharp and sleek updo. It was all about a Christmas tree. The Queen linked past, present and future in her traditional festive speech by doing what everyone likes to do at this special time of year - getting others to gather around the tree and celebrate the season. It was an appropriate theme in this truly historic year for Elizabeth II. For the Christmas tree was brought to Britain in the 1840s by her great, great grandmother, Queen Victoria, who this year passed into history as her descendant claimed her crown as longest reigning monarch in her country's history. And by keeping the tree at the centre of her speech, the woman who now holds the title of longest reign kept the memory of the woman she surpassed to take that record at the very heart of her Christmas message. 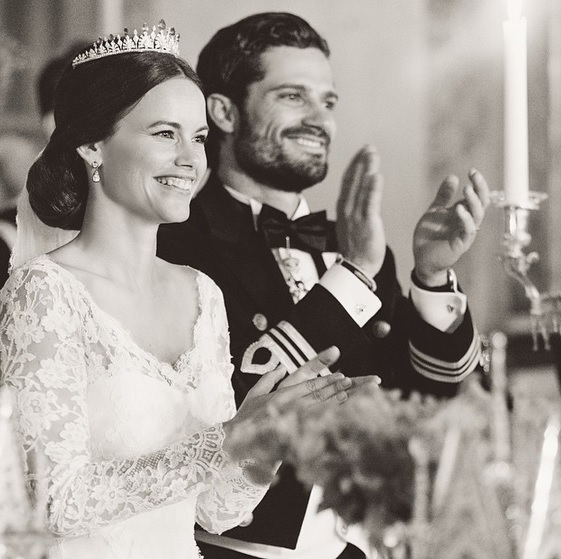 It was a tale of two Christmases for Denmark's royals this year. 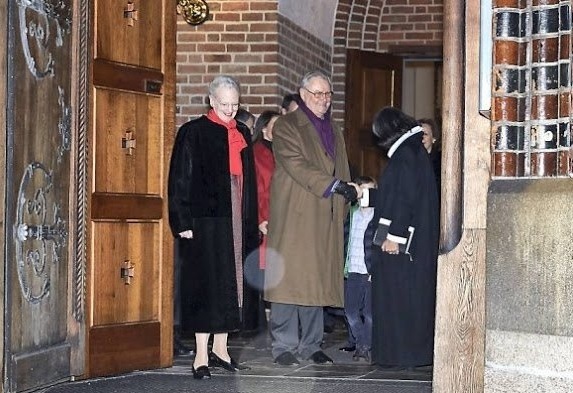 While Queen Margrethe and Prince Henrik attended church in Aarhus, Crown Prince Frederik and Crown Princess Mary were tens of thousands of miles away in Australia spending the festive season with her family. Margethe wrapped up warm for the Christmas Eve service. She and Henrik were joined by Prince Joachim, Princess Marie and their two children, Henrik and Athena. Marie rocked a red coat in keeping with the spirit of the season and the gathering gloom of a late December evening added a sense of Christmas to the whole scene.